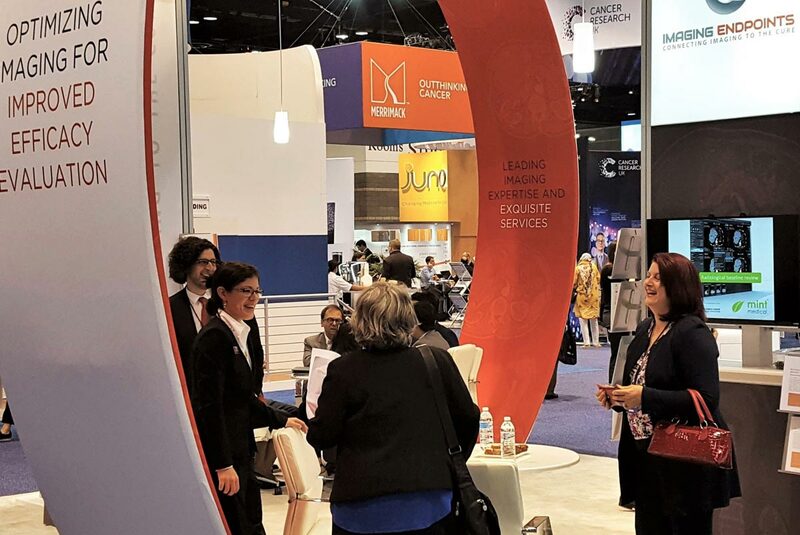 As providers of specialized radiology analysis and data to pharmaceutical companies, the challenge for our client attending ASCO was to stand out with a 20’ x 20’ space and a list of objectives. 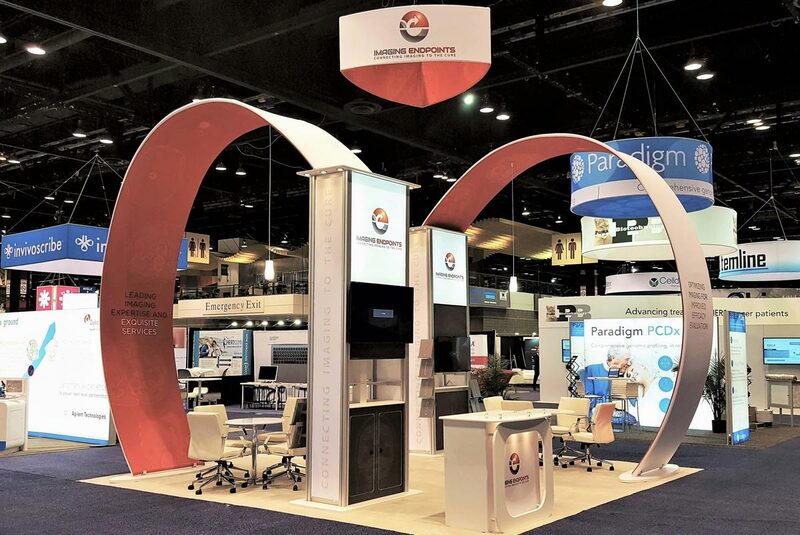 Our design had to be eye-catching and functional, it had to “hold its own” on a show floor that has many massive booths. The design provided two separate meeting areas with interactive monitors, two reception areas with overhead presentation monitors, food service areas and storage, open and inviting architecture and strong company branding at all levels of the space. All in a 20’ x 20’ space and within budget! 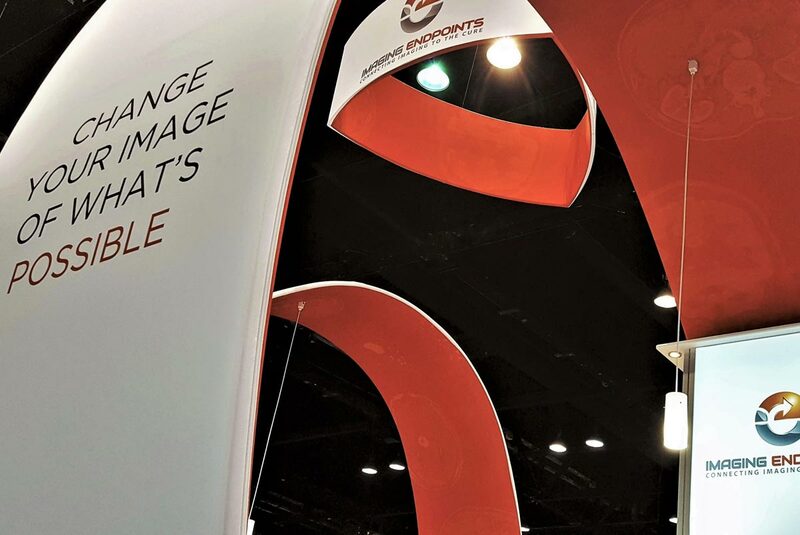 Branded Area uses “smart design” to achieve the best results for our clients. 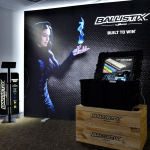 Branded Area has over 25 years of experience in all areas of tradeshows, exhibits and marketing environments. 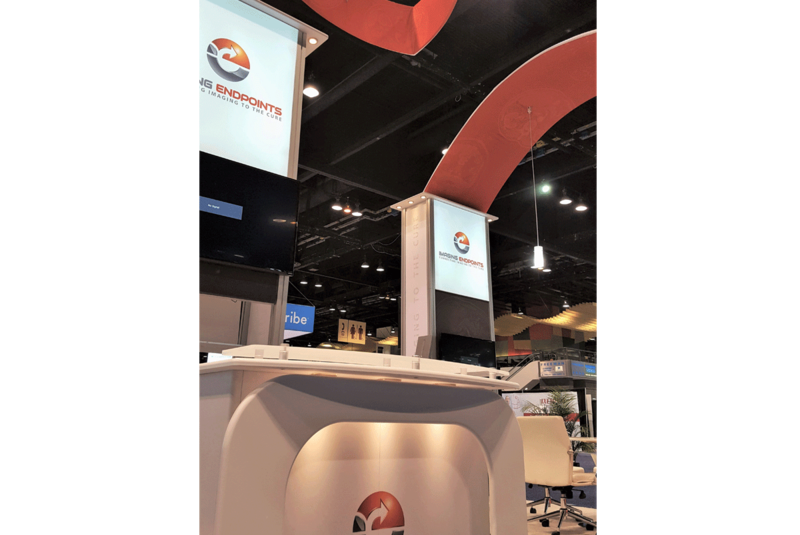 Our goal is to efficiently and effectively deliver the best possible results for you to achieve your ROO and ROI at your next event. We build our business around understanding your business, your image and your objectives. Instead of just selling you a product, we provide a value added service. On your behalf we access the best the industry has to offer. 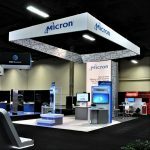 We will help you budget before attending a tradeshow. We will show the best way to control your costs. We will provide exemplary customer service and results as if you had an in-house expert. During the process, we will save you more than our cost. Work with us and our network of experienced global partners to ensure that you get the best results for your marketing environment and a flawless onsite experience.